A hurricane is a tropical storm that develops over water and sometimes comes ashore, bringing massive flooding and devasting winds to vulnerable coastlines. While hurricanes aren't really a concern for people living in the central United States, those visiting Florida during hurricane season may need to be prepared in the event one makes landfall. Hurricane season in Florida typically lasts from June 1 through November 30, but a majority of these storms form in nearer the end of the season, with September producing the most hurricanes—most of which start in the Caribbean Sea or the Gulf of Mexico. On average, one to two hurricanes make landfall on the eastern coast of America every year, and of those, only 40 percent hit Florida. Since 1851, 37 hurricanes have made direct hits on Florida. If you're planning a trip to Florida this August, September, or October, you should be especially cautious when visiting coastal cities. As an added precaution, you can download the Hurricane app from the American Red Cross to get up-to-date information on current tropical storm movement that may affect your trip. In 2017 the Atlantic hurricane season was significantly more active than normal and Florida was hit by category 4 Hurricane Irma, sustaining significant damage due to wind and flooding all along the coastline. However, prior to 2016 Florida had been on a hurricane-free streak; the Sunshine State had gone a record 11 years without one making landfall. That streak came to an in September 2016, when Category-1 Hurricane Hermine made landfall before weakening into a tropical storm. A few weeks later, in October 2016, Category-3 Hurricane Matthew did not make landfall in Florida but spent an entire day churning up the coast just offshore, battering towns, causing several deaths, and leaving over a million Floridians without power. While it's unlikely that you will be visiting Florida during a hurricane, if you're planning a trip between August and November, you might consider getting a hotel that offers a hurricane guarantee or paying a little extra for travel insurance on your flights. This way, even if a weather-related emergency cancels your plans, you'll get a full refund or equivalent rescheduling. 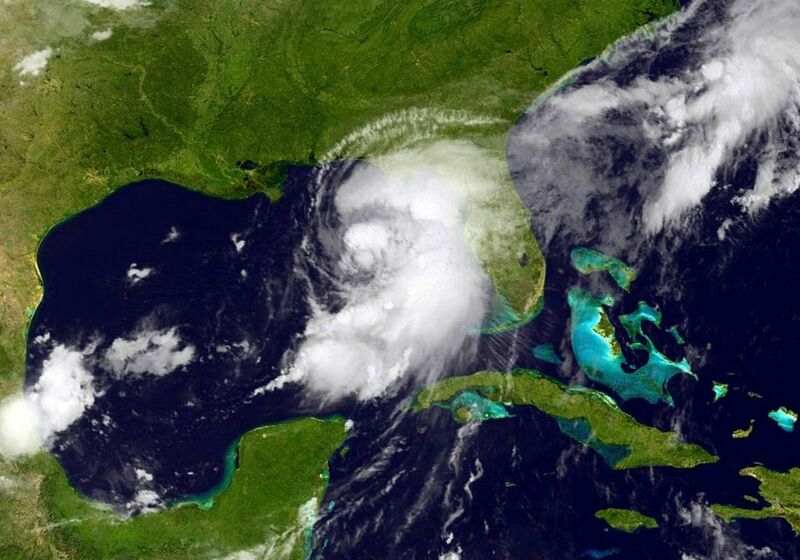 You should also keep in mind that hurricanes don't have to make landfall to put a damper on your summer vacation as even tropical storms bring high winds and heavy rains to Florida coastline. Before you pack for your trip, you should check the latest weather forecasts to plan your clothing and accessories. You might want to pack an umbrella just in case because late summer and early fall is particularly rainy across the state. A number of meteorological organizations and weather stations often issue predictions on how they expect the next hurricane season to pan out based on data from previous years. However, these predictions are rarely accurate—especially in volatile years like 2016 and 2017. National Oceanic and Atmospheric Administration (NOAA): 10 to 16 named storms including five to nine hurricanes, one to four of which will be Category-3 or higher in strength. Tropical Storm Risk: 14 named storms including four hurricanes, one of which will be Category-3 or higher in strength. Two tropical storms and one hurricane are predicted to make landfall. North Carolina State University's Department of Marine, Earth and Atmospheric Sciences: 14 to 18 named storms including 11 hurricanes, three to five of which will be Category-3 or higher in strength. Accuweather: 12 to 15 named storms including six to eight hurricanes, three to five of which will be Category-3 or higher in strength. What Should I Expect in Florida During August: Weather and Events?